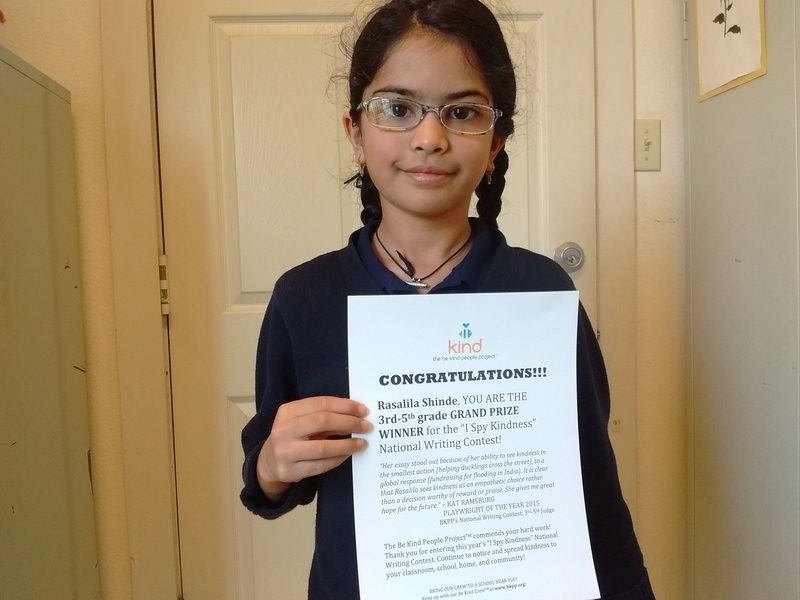 Our dear 4th grader, Rasalila Shinde, has recently participated in a national “I Spy Kindness” writing contest and won first prize for the 3rd – 5th grade category. She wrote an essay describing acts of kindness she has witnessed and experienced in her life. We warmly congratulate her for her accomplishment. Well done! 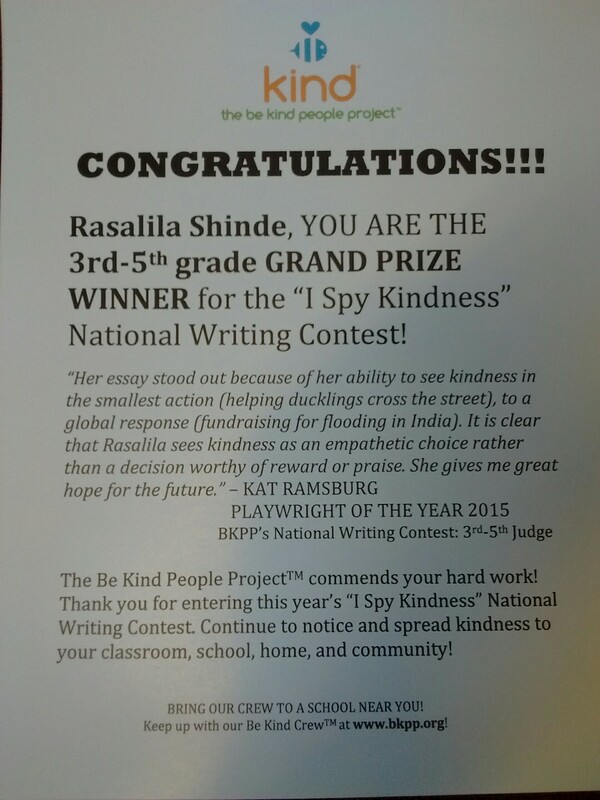 Congratulations Rasalila… You are so kind as your parents.Keep it up!